* plus TAX. 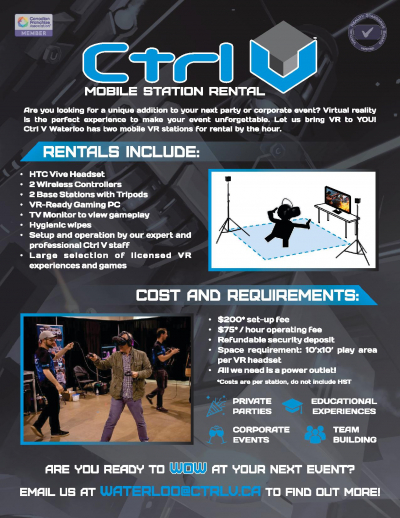 Includes 16 VR Stations for one hour. Pricing is automatically applied when you add all VR stations in a time slot to your cart.